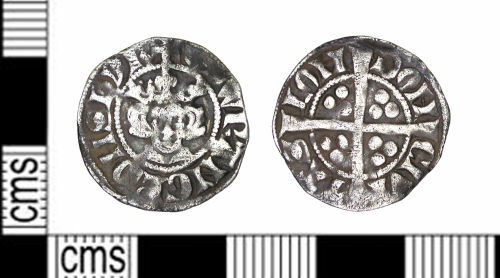 A Medieval silver penny of Edward I dating to the period AD 1282-9. Class 4, probably 4b. London mint. North no.1024. Penny of Edward I. Diameter 19mm. Weight 1.26g. North 1024, class 4b (1282-9).